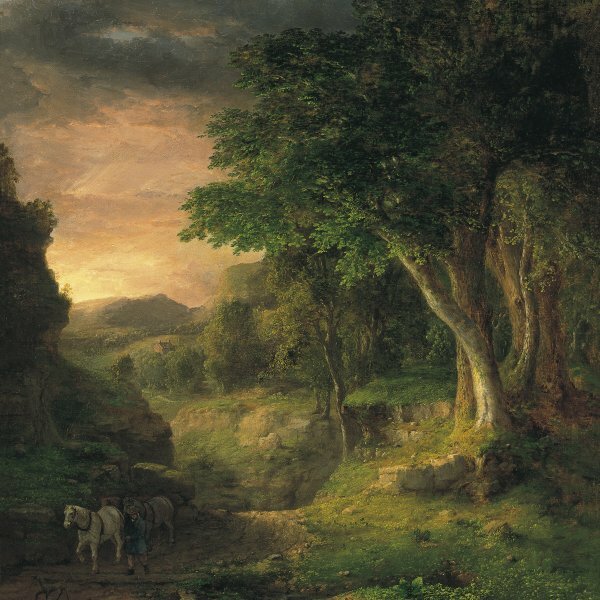 Although there is a tendency to link the painter George Inness to the Hudson River School, following his travels through France and Italy in the early 1850s his landscapes shifted away from the sublime aesthetic established by Thomas Cole and became subtler and more intimate. Summer Days, sometimes entitled Cattle Drinking, effectively combines poetry and reality. 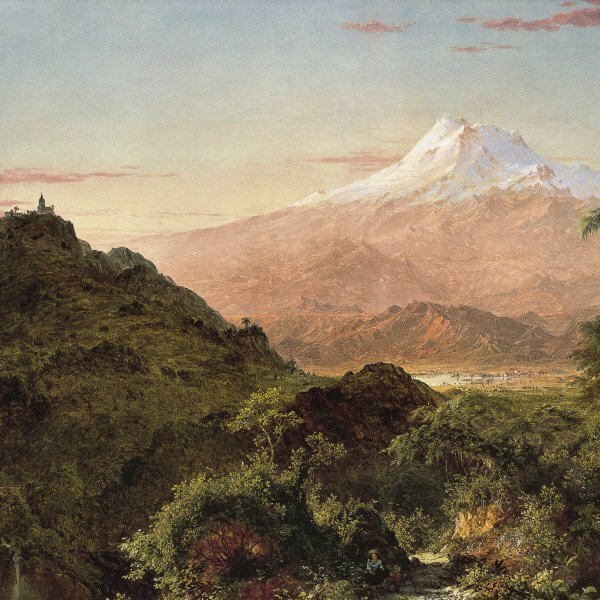 More than exalting the greatness of nature, Inness harmoniously blends an ideal representation with a real encounter with nature. 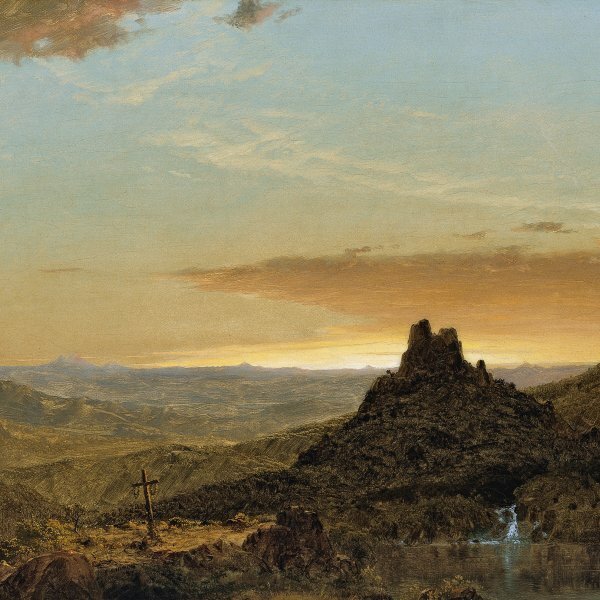 The work clearly denotes the mark left on the artist by the Italian landscapes of Claude Lorrain and the painting of the Barbizon artists, who taught him to paint outdoors and to combine knowledge and feeling in perfect harmony. 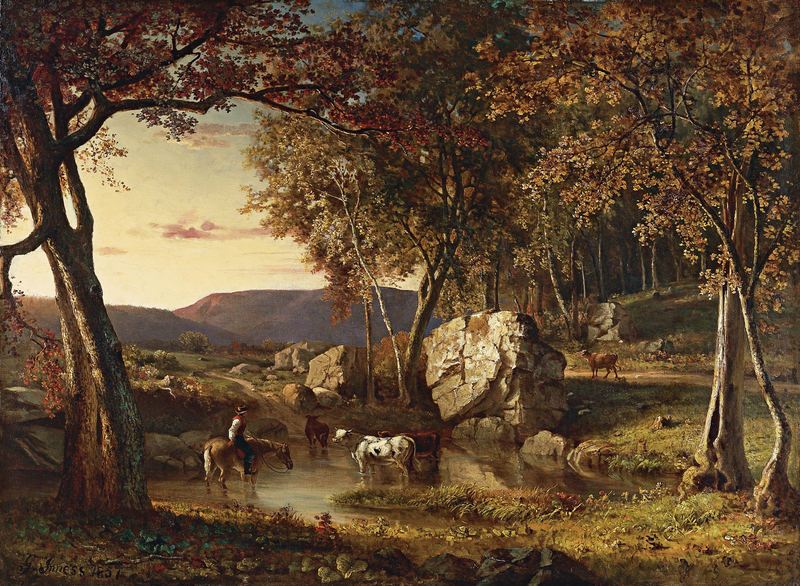 However, as Barbara Novak points out, in this work, dated 1857, “Inness’s plein-airisme here is still closer to Hudson River ‘detail’ than to Barbizon ‘effect.’” Indeed, as the American Art historian states, the large rock to the right of the composition appears to have been dropped into the Claudian structure from an actual landscape.